Stock status is current as of 4/19/2019 12:45 AMET. 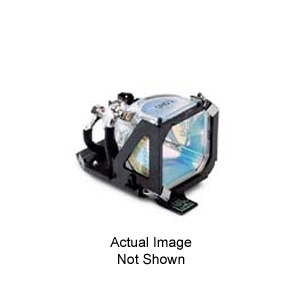 The NEC NP07LP is an original replacement lamp for the NEC NP300 NP400 NP500 NP600 NP610 NP610S Projectors. It is always good to keep a spare NP07LP lamp on-hand because you never know when you will need it until you turn on the projector. You might be preparing your quarterly presentation in the executive boardroom, warming up for a sales pitch for your most important customer, or sitting down to watch a film with your family. Suddenly the excitement of being prepared is interrupted by the realization that the lamp in your projector is just a little too old, or maybe it took too big of a bump during your travel. If you have a spare NP07LP lamp, you can change it immediately.